The American Association of State Highway and Transportation Officials Committee on Transportation Communications (TransComm) honored Caltrans this week with four awards for the department’s public information work. “At Caltrans, we are dedicated to public service, and these TransComm awards show that we not only work hard to get our job done, but we work hard to let the public know what we’re doing,” said Caltrans Director Laurie Berman. Caltrans District 5 public information officers Susana Cruz and Jim Shivers were also recognized for their outstanding public communications. 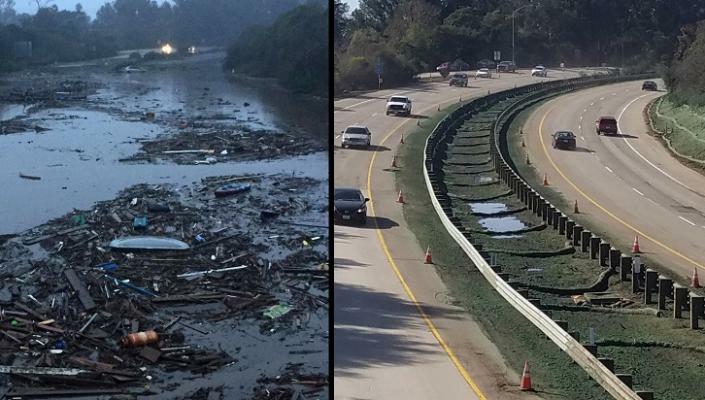 Between February 2017 and January 2018, California’s central coast suffered intense weather-related events, including damage to the Pfeiffer Canyon Bridge, slides at Mud Creek, the Thomas Fire, and the Montecito flood and mudslide. The state transportation system in the Central Coast was severely damaged, and these events had tremendous emotional and economic effects on communities in the area. Cruz and Shivers were Caltrans’ public faces for those events. The Spirit of TransComm Award recognizes nonmanagerial state transportation communications staff for their professionalism, expertise in their specialization, and positive effects on identified audiences. TransComm is made up of public affairs professionals from the 50 states, Puerto Rico and the District of Columbia. It promotes excellence in communications through the exchange of ideas and educational programming, presents annual skills awards and advises other committees on communications issues.